Originally from Liverpool, England, Sebastian trained as a classical violinist. He has since performed and recorded as a professional folk musician in Europe from 1980 to 1995. He has a passion for Irish music, the playing of it and the ‘stories’ and people who travel with its history. Martin Reese is regularly Sebastian’s co-conspirator. 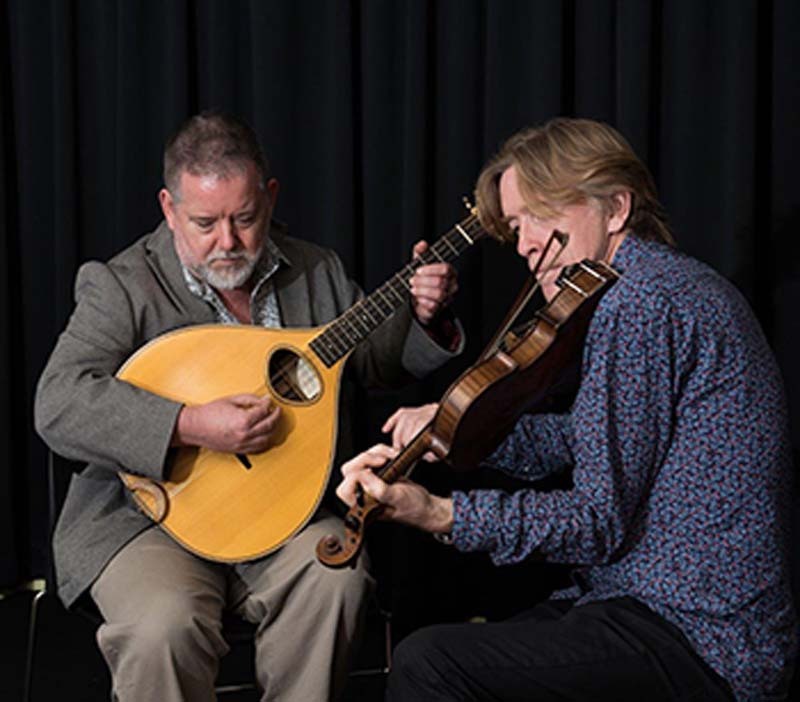 Along with his own musicianal journey, Sebastian – accompanied by Martin Reese – brings to life in performance, narrative and characters from within Irish fiddling history including the famous collector/documenter of Irish tunes, Francis O’Neil (1848-1936) from Ireland/ Chicago.